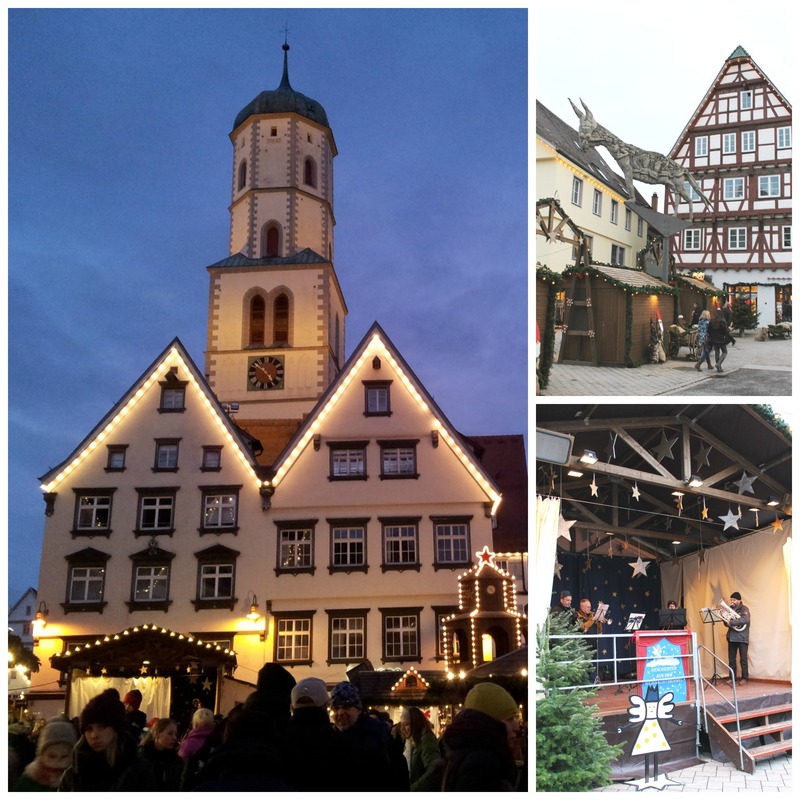 Here’s my latest want-do accomplishment: Visiting the Christmas Fair in Biberach. Biberach is a small town near Ulm in Baden-Wüttemberg and my father-in-law’s family is located there. We use to go there at least twice a year. 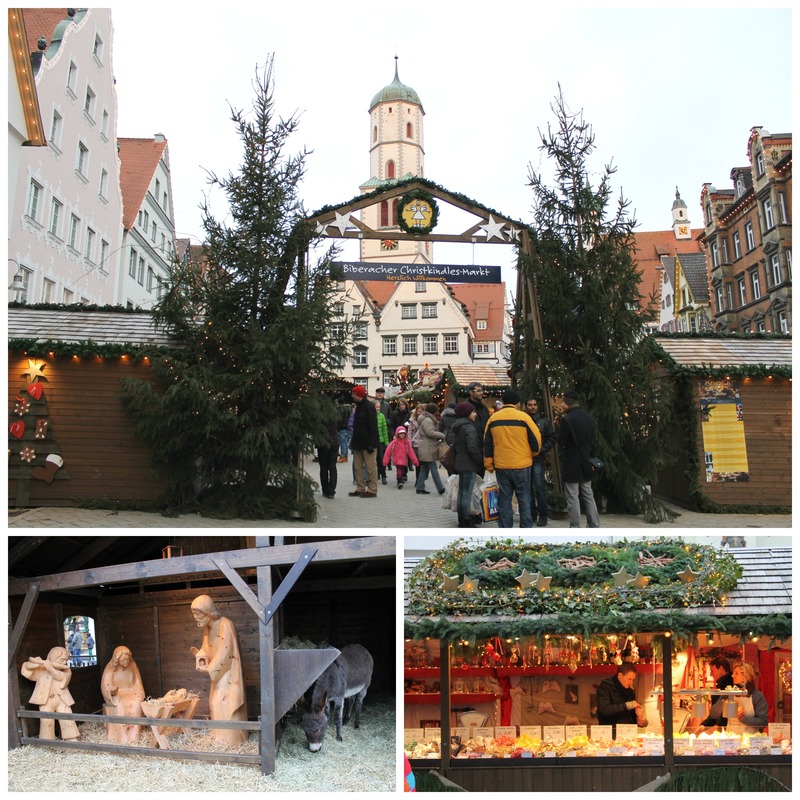 Once in summer for the Biberacher Schützenfest (a medieval city festival) and the christmas fair. Though it’s only a tiny fair we love it extremely. This town is so special that it’s always worth going there. Hands-down I have never truly met so many genuinely nice people in one place. The citizens all seem so happy and content all the time that you can’t simply not walk around with a huge smile plastered in your face. It’s catching! We arrived around 2pm got some shopping done and met up with my husband’s uncle and cousin for some drinks. We enjoyed a really cozy and nice afternoon there. We had some almond cookies and mulled wine and we shared a Dinnete which is basically a Swabian kind of Pizza with potatoes and cheese. There was a crib with a donkey and some sheep and a brass band played christmas carols. I finally bought me some heart-shaped cookie cutters for future Lemon Hearts baking. It was even more beautiful when it was dark. I made two Christmas Stollen based upon the recipe of my mother-in-laws Stollen she amazingly altered according to my dietary needs. I will share the recipe on Monday featuring Madison’s 12-Days of Allergy-Free Christmas Recipes party. You can still sign in for some days. So make sure to head over to her wonderful blog and participate in the fun. I don’t care – I love it! The best about it? It changes colour according to the temperature. When my fingers are warm it’s a bright red, when my fingers are cold it’s a dark red 😀 I’m sure my nieces will love it! So for now only 11 days to go! Love it! There’s more baking and joy down that road! 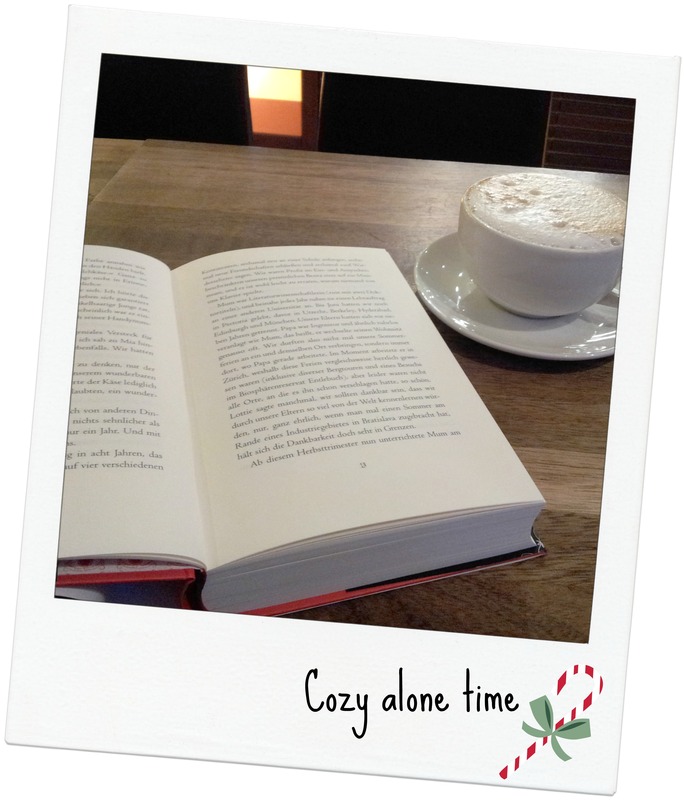 What are your Christmas pleasures? That pizza and mulled wine sounded like it was absolutely delicious!! Glad to hear you are also participating in Madisons link up can’t wait to see what recipes you’ve found! 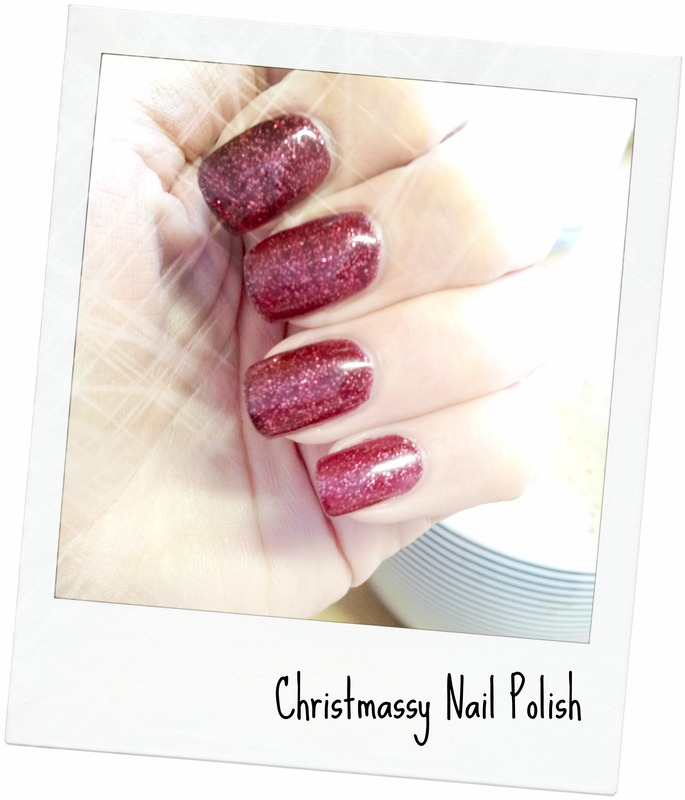 You’ve now made me want to go paint my nails! They are in desperate need of a manicure. 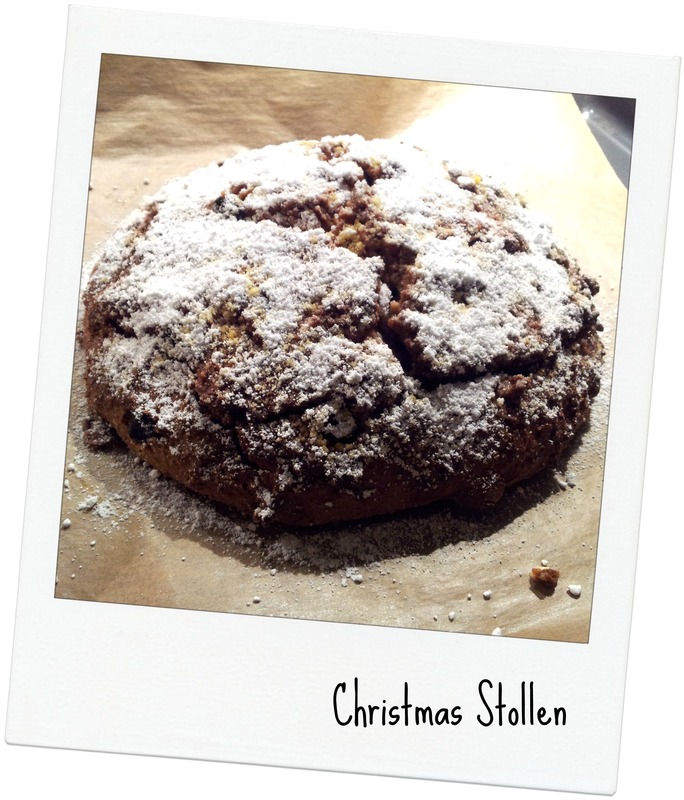 Your Stollen looks so good! I’m very curious about the recipe. I had some store-bought Stollen this weekend, but home-made is always better. I just posted a recipe for my favorite fruit cake on my blog, maybe you want to include it in your link-up?